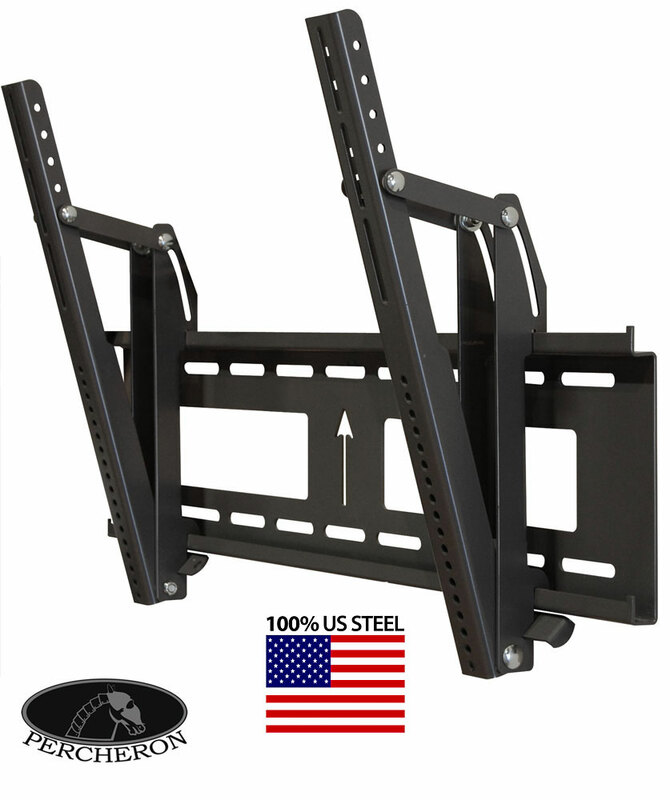 Fits all 37-63 inch Plasma and LCD TV displays or any TV with mounting hole spacing to 19 1/4" (489mm) vertically by 31 11/16" (805mm) horizontally. Percheron’s PM800T is a North American made tilt mount for bars, restaurants, airports, or any high traffic, high security installation. It’s rugged build and low profile make it ideal for larger LCD TVs and Plasma TVs in your home as well. The PM800T is laser cut Heavy duty 10 gauge 100% US steel, for a level of quality and precision the imports simply can’t match. The custom designed mounting system provides a guaranteed fit on virtually any 37-63 inch LCD TV or Plasma TV.